Owning a small or toy sized dog can be every appealing for many people. Unlike a medium sized or larger dog, these tiny pooches can easily be included with your day to day activities, and be physically handled. 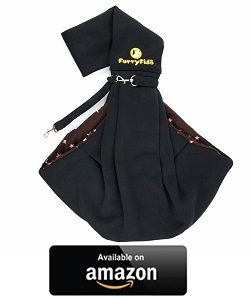 This is where Dog Sling Carriers come in handy, as they allow you to comfortably bring your dog out with you. 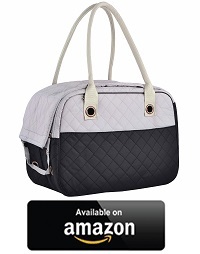 If you are looking for a comfortable and stylish carrier to bring your little pal out with you, then you are in the right place. They can keep your dog in a safe a secure place when they leave the house with you, and if your dog is tuckered out, or recovering from an injury, you can still include them in your daily outings. 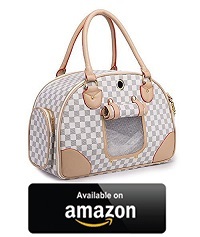 If you are interested in more luxurious Dog Carrier Purses and accessories, please read out article on Designer Brands and Luxury Accessories. 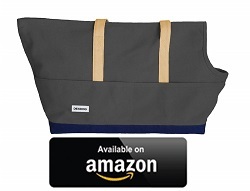 1 What are the Benefits of a Dog Sling Carrier? 2.3 #3 Is the Sling Made from Comfortable Materials? 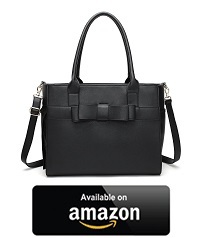 2.4 #4 Does it Have Zippers, Buckles, or Latches? 2.5 #5 Is There a Collar Clip? 2.6 #6 Is it Easy to Clean? 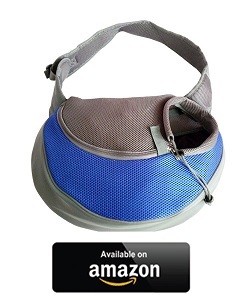 What are the Benefits of a Dog Sling Carrier? Not all dogs are comfortable with being placed inside a Dog Carrier Backpack. This could be due to them suffering from a form of canine claustrophobia. 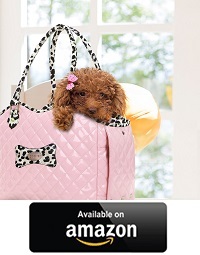 Simply put, they may get stressed out from being confined inside a backpack carrier. Holding a nervous or shy dog close to your chest, is a good way to try and keep them calm, and to help them feel more secure. Not only will this provide your small dog or puppy a nice place to take a nap while you go about your day, it can also help to build a stronger bond between yourself and your new puppy. Most dogs like to stick their heads out of the car window and take in the sights and smells around them. 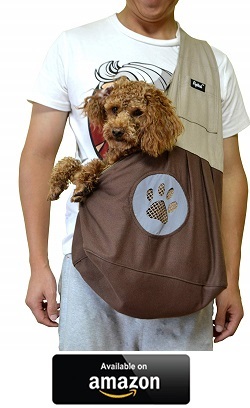 Your pooch may also enjoy doing this in a sling carrier, as they are able to stick their heads out and look at their surroundings, something that most backpack carriers can prevent. 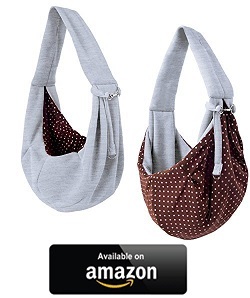 Another benefit to using a sling carrier, is that they can come in a large variety of styles and designs, potentially allowing you to make your own fashion statement. Before you can pick a style you like, you need to make sure that the sling is the right size for your dog. 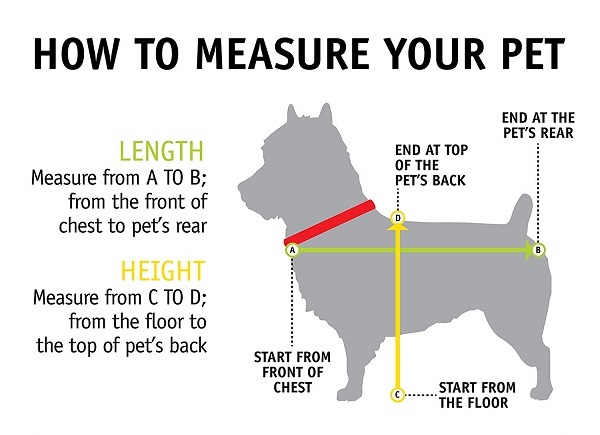 Always check the weight limit of each sling, this is highly important to ensure your pets safety by only using a sling that can support your pet’s weight. While it is important to find a sling that fits your dog perfectly, it is just as equally important to find a sling that conforms to your body, and is comfortable for you to carry. Not all slings require you to only carry your dog across your front. Some slings are designed to be carried either at the front, back or to the side. 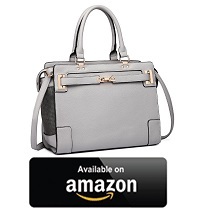 Some slings are even designed to be used in multiple positions, and may even have adjustable straps. So make sure to choose a sling that suits your body type and your own limitations as well. 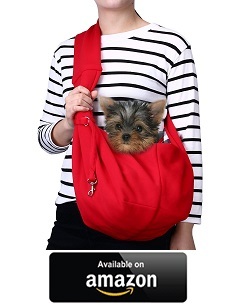 If the sling is too large, your dog may find themselves being swallowed up by it. 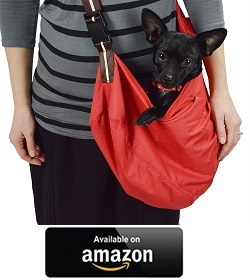 Your dog needs to be snugly yet comfortably supported by the sling. If your dog is unable to lift its head up out of the sling to see the world around them, they may become stressed and fidgety. Think of an over sized sling as being a blanket that only covers your dog, instead of supporting them. #3 Is the Sling Made from Comfortable Materials? Try to find a sling that is made using materials suitable for your environment and your dogs coat. 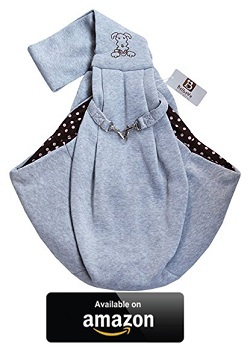 Cotton and fleece are two of the most popular and comfortable choices for slings, they are breathable and help to prevent your dog from over heating. Polyester is another cozy fabric to consider, it can help to retain heat and provides some level of water resistance. By considering the weather conditions and the environment in which you live, it can help you to determine what type of sling you should consider. If the sling is made from a thick fabric, and your dog has a thick coat, you may find that the sling could cause them to over heat, especially in summer. By using a sling made of a light breathable fabric in summer, this could help to prevent your dog from over heating. Think of it this way, if your dog doesn’t require a winter sweater in the colder months, then thicker materials could retain too much heat. On the other hand, if you live in an area that gets very cold winters, or even snows, and your dog has little to no fur to keep themselves warm, then you may need to consider using a sling that retains warmth. Thicker materials, less breathable polyesters, or even insulated slings may be worth considering. 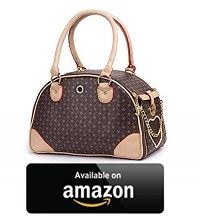 #4 Does it Have Zippers, Buckles, or Latches? You should avoid using zipper closures for long-haired dogs. Their fur can easily get snagged in the zipper tracks as it closes. Not only can this cause problems closing the sling, it can also cause undue pain and discomfort for your dog, which may result in them being afraid of using the sling. 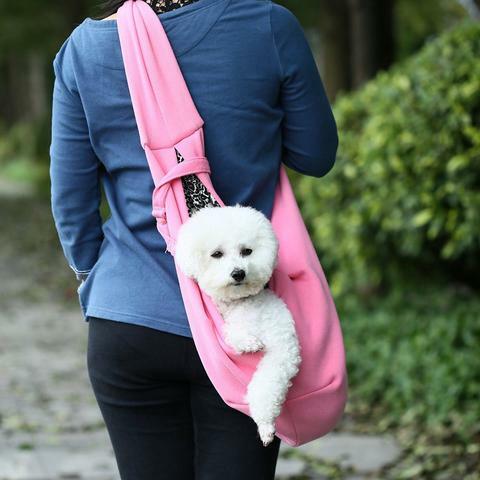 With that in mind, using a sling that offers a way to seal your dog in, actually helps to prevent them from jumping out. One of the biggest differences between a sling carrier and a backpack carrier, is that there is usually a hole/opening left for the dog to stick their head out of. The hole tends to be big enough for them to poke up out of, but not big enough so as to allow them to jump out. Instead of using zippers, some slings make use of Velcro, buttons, snaps and straps. 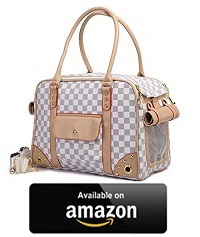 This can be a good alternative if there is a risk of injuring your dog with a zipper or in many cases, adjusting the size or location of the opening for you dog to look out of. #5 Is There a Collar Clip? Also known as collar and lead anchors or tethers, they are a way to ensure that your dog will be less likely to jump out of the sling. While the name implies that it is a way to secure the sling to the dogs collar, it would be advisable to attach the clip to a harness instead. The risk of the dog jumping out of a sling is much higher then that of a backpack carrier, for this reason there is less risk of neck injuries occurring if the anchor is attached to a body harness as apposed to the collar around the neck. #6 Is it Easy to Clean? 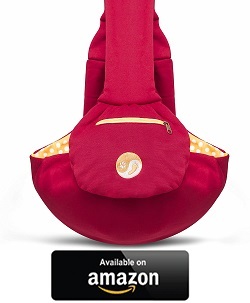 Sling carriers that have a firm or ridged base, may come with a comfort pad. These pads not only help to make your dog comfortable and give them something to sleep on, they also help to keep the sling clean. Most of these pads are removable and washable, so in the event of any little accidents, the sling can be easily cleaned. Other slings can be washed as is, some may require a more hands on cleaning method. So look over the cleaning instructions to see if the sling is right for you. 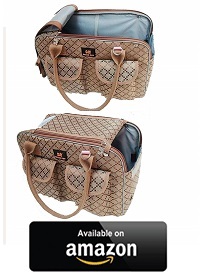 Ideal for toy dogs up to 8 lbs. Plenty of good airflow, and is light. 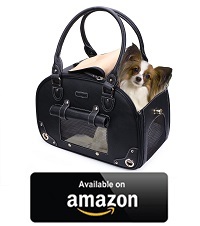 Uses a security clasp to prevent your dog from jumping out. Can be put through the cold wash cycle in your washing machine. 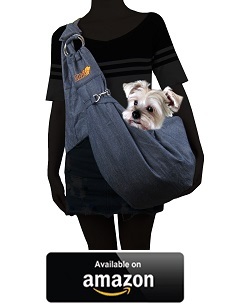 A versatile and spacious dog carrier sling that is suitable to use for dog breeds such as Bichon Frise, Maltese, Chihuahua, Pomeranian, Poodle, Pug , Shih Tzu, Yorkie, Westie, Pekingese and other small dogs or animals.